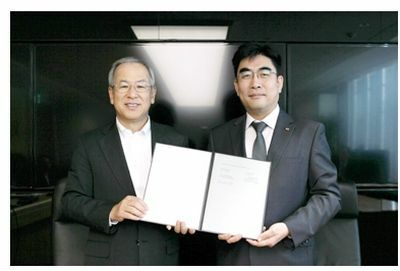 TOKYO, Aug 6, 2015 - (JCN Newswire) - NEC Corporation has reached an agreement with KT Corporation (KT), a leading South Korea-based communications carrier, to collaborate in the field of 5G next-generation mobile telecommunications network. The two companies will work together to realize KT's 5G services through the joint research, development and testing of 5G-related technologies. The companies will also make joint contributions to the standardization activities of 5G. The two companies have already been collaborating in Software-Defined Networking (SDN), and are conducting joint research and development in fields such as Network Functions Virtualization (NFV) and Management and Network Orchestration (MANO), with the goal of optimizing networks to meet increasing demands for diverse and advanced telecommunications services. By expanding the scope of their collaboration, the companies will undertake further research and development of technologies for the "future network", including 5G and SDN/NFV. KT recently put forth its vision of a "GiGAtopia," according to which Internet connections will be made 10 times faster in order to connect people and all things to the Internet, enabling the creation of integrated services and advancing the sophistication of information and communication technologies. NEC is aiming to provide customers with new value and an advanced social infrastructure by utilizing its technology and expertise in both IT and networks field and offering advanced network solutions based on its NFV and 5G technologies. In the field of SDN/NFV, NEC is working with its subsidiary NetCracker Technology, a recognized leader in developing MANO solutions for virtualization. Through their collaboration, the two companies will bring together their technical assets and contribute to KT's 5G services by developing technologies that achieve the 5G network requirements of higher speed, larger capacity, shorter processing delays and the simultaneous connection of innumerable devices. Shunichiro Tejima, Executive Vice President, NEC Corporation said, "With this new collaboration on 5G network, we are delighted to further deepen our existing relationship with KT. Combining our expertise, I firmly believe KT and NEC can contribute to realizing an innovative communication services in South Korea, one of the most advanced countries in communications technology and infrastructure."